Breakfast lovers in search of the best waffles are in for a treat when they visit Montgomery County, Maryland. From trendy Matcha Waffles to savory Peking Duck Waffles, here is our ultimate road trip guide to the most wonderful waffles around Montgomery County. 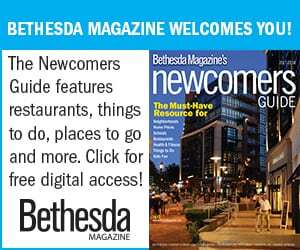 Located inside the Holiday Inn Gaithersburg, Harvest Plates & Pints serves up a menu inspired by fresh, seasonal ingredients. 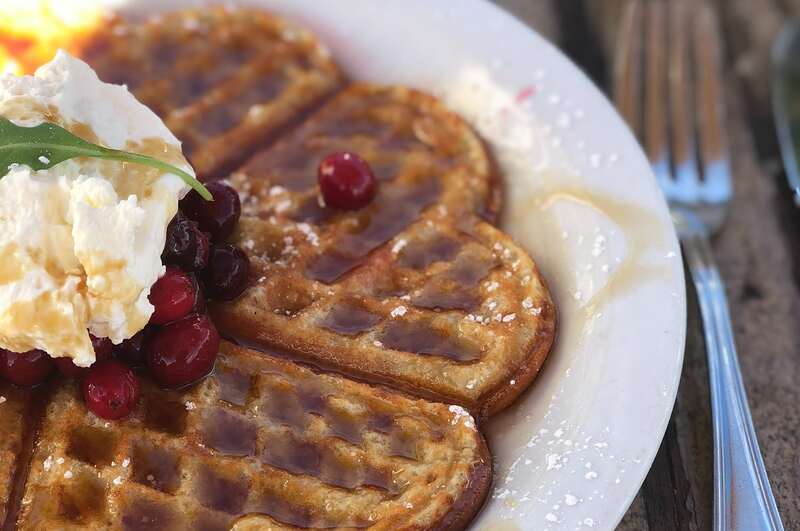 The Malted Mini Waffles come crispy and topped with berries, whipped cream, and warm maple syrup. Visitors can also build their own breakfast with eggs, meat, and a sidekick of waffles. From savory to sweet, Wicked Waffle’s extensive menu satisfies both ends of the tasty waffle spectrum. Their savory waffle sandwich creations include the Peking Duck Waffle and the Prosciutto di Parma, Mozzarella, and Arugula Waffle, while their sweet treats selections feature the Tiramisu Waffle and the Roasted Fuji Apples and Cinnamon Waffle. When you dive into the mouthwatering brunch specialties at Mon Ami Gabi, you’ll discover a delectable waffle option with a French twist. 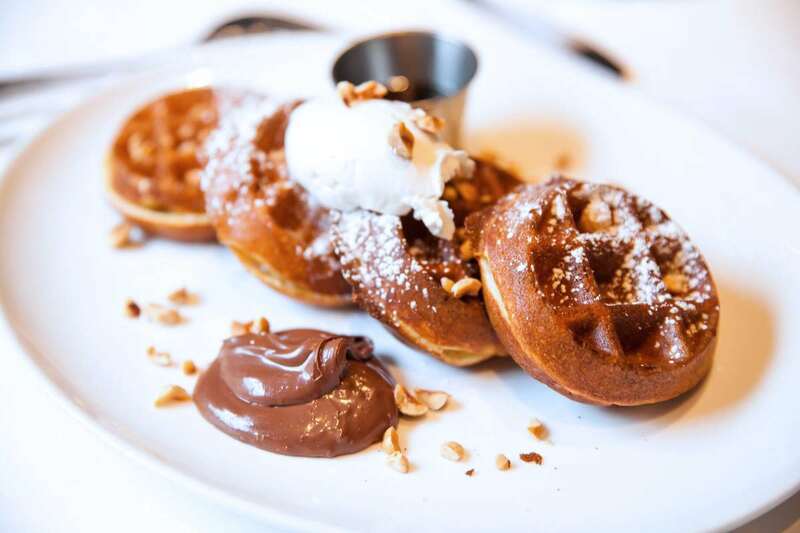 Their Waffle with Nutella is served with a delightful combination of hazelnuts, cocoa, and whipped cream. Weekend brunch is served Saturday and Sunday beginning at 10am. Cautioning waffle addiction, T&J Waffles guarantees you’ll want to return to their food truck for more. Serving a variety of Liege Waffles, the secret to T&J’s delicious dough are the pearl sugar pieces that create an enjoyably layered, crunchy element. 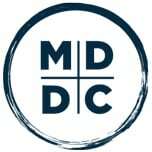 Be sure to check their social media to stay up-to-date on the food truck’s daily location. Gazebo’s menu features sweet treats like the Matcha Waffle, made with organic matcha powder, and the Raspberry Waffle, made with puree and fresh fruit. The real star of this waffle show, however, is the homemade whipped cream dolloped atop each signature waffle. Light and fluffy is the name of Mosaic Cuisine’s waffle game. Whether you go for the Mango and Brie Cheese Red Berry Jam Waffle or the Smoked Salmon Waffle, these unique meals will surely satisfy your waffle cravings. If simple is more your speed, order their True Bruxelle Belgian Waffle with your choice of fruit topping.